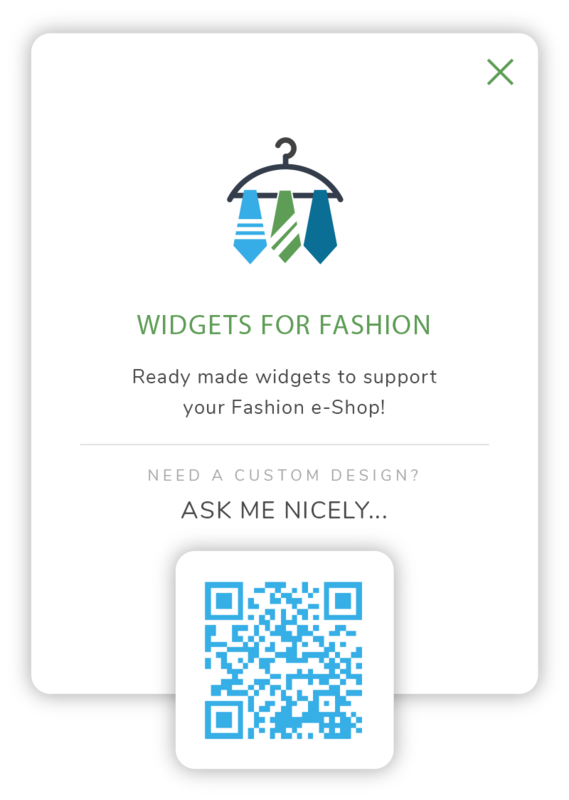 Ready made Widgets to Support your Fashion e-Shop. Templates of all kinds for you to Customize further (change colors, copy, images). 45+ Widget ideas to get you started! Change Copy, Images, Colors, Animations, Fonts... or use it as is! Use on any platform or landing page just by adding a one-time small code-snippet to your code. Add as many widgets as you wish to as many websites you own. You don't need to be a designer or a developer to create these widgets! Hey, and if you face any trouble we are known to have the most amazing support team. Can't find what you are looking for? Need a small tweak to any existing template? Did you say... Custom? Contact us and we will design + develop any widget for you.